with…what might be the common hazards, and threats and I built my armetarium around boosting our immune system first and then specific remedies for things like dealing with mold, fungus, bacteria, virus, respiratory, wounds, bleeding, infection and trauma of both a physical and emotional nature. Here is what I filled my car with. I offer these in no particular order of importance or relevance. For me and my family they were all important and proved to be invaluable. One other comment is we simply cannot wait until the threat is upon us to order these items. Once the threat is confirmed and real it is much too late to go to the store. We must stockpile enough support items and rotate them as you need them. It’s funny. As I look over my own list. There is no Aspirin or Ibubrofen. Why? I don’t have them in the house and I do not rely on them. Omron Nebulizer – I use the Omron which is battery operated and therefore not dependent having power. I wouldn’t be without it. A nebulizer is a device that is very similar in design and purpose to an asthma inhaler, but is easier to use and slightly more relaxing. When it is operated the oxygen and air are blasted through the stored liquid medicine at high speed and then inhaled by the individual. As the air passes through the liquid it will create aerosol that contains the medication needed. But why use a nebulizer or inhaler at all? Well the simple reason is that it delivers medication directly to the lungs which is necessary for when it’s the lungs that need to be treated. When taking medication orally it will enter the blood stream and the body will use the active substances where they are needed, but it will take at least a minimal amount of time for the medication to get there. However when you breathe in aerosol through a nebulizer or inhaler this passes straight into your lungs and that means that it’s already in the place it is needed. You can put many remedies in the Nebulizer. This time I primarily used magnascent iodine. Why Nascent Iodine? Iodine offers a serious and potent replacement for many of the antibiotics prescribed. It can be used safely with children. Parents, who chose not to dose their kids with vaccines will be glad to know that iodine can be very effective against a host of viral infections that medical officials insist threaten children. Though it kills 90 percent of bacteria on the skin within 90 seconds, its use as an antibiotic has been ignored. Iodine exhibits activity against bacteria, molds, yeasts, protozoa, and many viruses; indeed, of all antiseptic preparations suitable for direct use on humans and animals and upon tissues, only iodine is capable of killing all classes of pathogens: gram-positive and gram-negative bacteria, mycobacteria, fungi, yeasts, viruses and protozoa. Most bacteria are killed within 15 to 30 seconds of contact. Dr. Derry says that iodine is effective "for standard pathogens such as Staphylococcus, but also iodine has the broadest range of action, fewest side effects and no development of bacterial resistance." There is a world of difference between using an antibiotic – anti-life substance – and an antibiotic, antiviral and antifungal substance like iodine, which is life serving because it is a basic and most necessary nutritional substance. Iodine kills single celled organisms by combining with the amino acids tyrosine or histidine when they are exposed to the extra-cellular environment. All single cells showing tyrosine on their outer cell membranes are killed instantly by a simple chemical reaction with iodine that denatures proteins. Nature and evolution have given us an important mechanism to control pathogenic life forms and we should use it and trust it to protect us in ways that antibiotics can’t. This single celled fresh water algae is a source of high-grade protein, chlorophyll A & B, 5 Minerals, 12 Vitamins, and 19 Amino Acids and one of my top 5 Superfoods. Not all chlorella is of the same source or quality. I am confident in the brand we sell in our store and I believe it is one of the best available. Another product I am never without! It is known to boost the immune system and help fight infection. It has been shown to increase the good bacteria in the gastrointestinal (GI) tract, which helps to treat ulcers, colitis, diverticulosis and Crohn’s disease. It is also used to treat constipation, fibromyalgia, high blood pressure and high cholesterol. Chlorella has been used to treat cancer and also help protect the body from the effects of cancer radiation treatment. Supreme Fulvic Minerals – Another product I wouldn’t be without. There are many fulvic mineral formulas on the market. Many of them are expensive water. I know the person who developed this formulation to bring himself back to health after most doctor’s failed him. I often give this as a gift because this product gives life. Supreme Fulvic & Humic Complex™ provides all major electrolytes – naturally occurring Chloride, Magnesium, Potassium and Sodium, plus, at a minimum, 74 essential naturally occurring trace minerals. 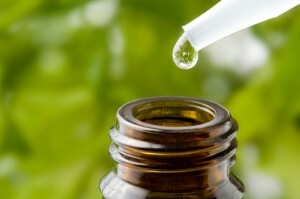 Essential Oils – I have been using therapeutic essential oils long before most people ever heard the word Aromatherapy. I always have them in my home, office, car, pocketbook, etc. because they work! Again, not all formulations are the same. You must use a quality product to get the best results. For my survival medicine chest I have a blend of Frankincense & peppermint. Why? Frankincense can be used as an expectorate by breaking up phlegm deposits in the respiratory tract and lungs, while giving relief from congestion associated with bronchitis. Beneficial in toning up all the systems in the body such as the respiratory, digestive, excretory and nervous system.The sedative effects are well known, which is why it is considered a nervous system tonic. Peppermint is great for energy, alertness, digestion, pain, colds & congestion. One of our family members developed an acute respiratory infection during the blackout and we would have been in grave trouble without these oils. Pleo Not - I gave many bottles of this away last Christmas and I will that again this year. This product is in a class all by itself. Pleo Not is what is known as Isopathic/Homeopathic anti-microbial formula. It is made from the fungus Penicillium chrysogenum. It is considered an antibiotic in a bottle. Excellent for fevers, staph infection, stuffy nose, earaches. Magnesium - Suffice it to say most of us are deficient in magnesium and it is required in nearly every important immune enhancing pathway. You need it to activate an immune response, regulate your autonomic nervous system, detoxify, sleep and balance your emotions. There are many…did I say many forms of magnesium available. It is confusing even for the experts. I brought 3 different forms with me and I use all of them at different times. The magnesium lotion is something I apply after a shower, angstrom magnesium is added to our drinking water and magnesium oil can be applied topically as well as used orally. Mycellium Tincture – Reishi & Shitake Mushroom have been referenced for their benefits with things such as: diabetes, insomnia, virus, allergies, colds, exhaustion, immunity, anti bacterial and parasitic as well as protecting the liver and reducing inflammation. With this many benefits I not only brought it with me but used it myself! Edible Earth is beneficial for nearly everyone because it helps detoxify and keeps the body alkaline. In addition, I always have a first aid kit. Bandages, tape, etc. Through the year if my husband or I receive a "prescription" for an antibiotic or pain we do have it filled. Usually, we never use it but save them for an emergency. In this particular storm small towns were destroyed along with their pharmacies. Do not count on being able to fill your prescriptions in a disaster of this size. You must have some on hand to get you through until you can get access to what you need. We are nearly 2 weeks post Sandy as I write and I still have neighbors without power or access to transportation. Preparation leads to safety. What do you have in your emergency medicine chest? ← Can Lyme Disease be Cured?